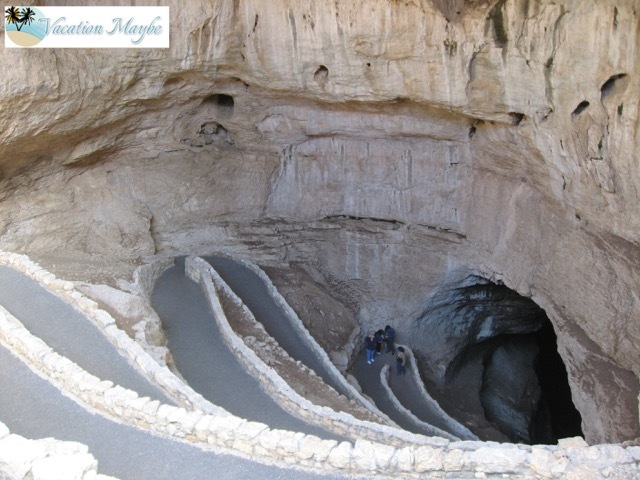 When my husband and I lived in New Mexico we made the trip to Carlsbad Caverns on three separate occasions. And although we did not ever get a chance to see the bats it was a memorable experience each time. In my opinion the best way to view the cave is to walk down through the entrance. There is an elevator that can take you from the visitor center straight down to the main level of the cave, but the best way to explore the cave and get a sense of the size and beauty within is to walk down to the bottom. This is a self-guided tour; audio tours are available as well. There is a wide path for you to stroll down as you go to the bottom. There are still remnants of the stairs that were used by early explorers who discovered the cave. Make sure you take time to stop and look at the different rock formations and at the opening below. Once you arrive at the bottom of the cave you can take a number of tours guided by rangers. It is best to book guided tours in advance, check out the National Park’s website here. There is also a small snack bar where you can get some lunch or other goodies to refresh you. 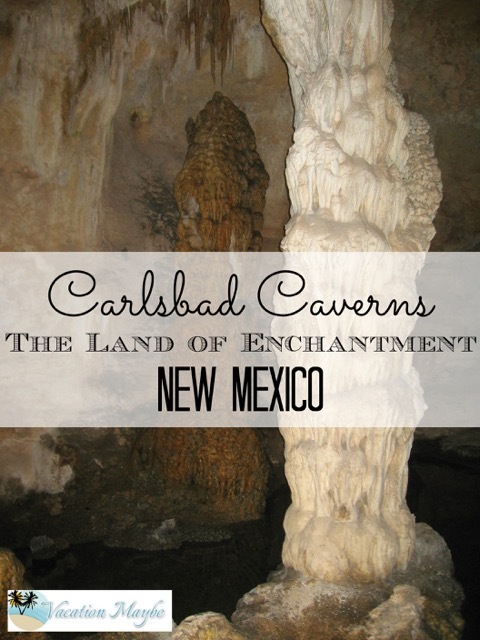 There are number of events and even free days to explore Carlsbad Caverns so make sure to check out their website for more information and details to plan your trip. This was one of my favorite things we did when living in New Mexico and I hope to get a chance to go back and visit it with my children someday. Vacation Maybe has also visited Lincoln Caverns in Huntingdon, PA.